Luz Gonzalez is a professional motivational keynote speaker and corporate trainer with over a decade of presentation and on stage experience. Her speeches and workshops are high energy, authentic, funny, and Luz brings down the house every time she's on stage. If you'd like Luz to speak at your event, workshop, or training email luz@soulonfireacademy.com. Looking for a vivacious, engaging, and humorous presenter that will bring life and energy to your event? You found your gal! ​Luz has given workshops around the U.S., emceed for organizations like Teach For America, and presented at well-established companies such as McKinsey & Company, national non-profits such as the ACLU, mid-sized firms, at top-universities such as UC Berkeley and Stanford, and startups of all sizes. Through her work, Luz merges the worlds of extreme high performance and mindfulness - bringing highly relevant and powerful exercises, material, and outcomes. 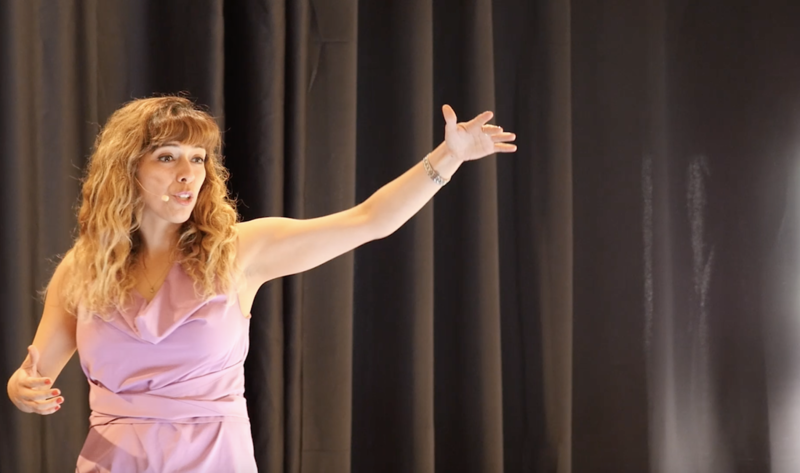 Invite Luz to join your company for a knock-your-socks off workshop that will have your team feeling passionate, ALIVE, with each person connected to their mission, grateful, and ready to take on the world! ​Reach out to learn more about Luz can work with your team and company! - Don't You Dare Settle, You Were Made for MORE!